McMaster University is a medium-sized research-intensive university located in Hamilton, Ontario, Canada, with an enrollment of approximately 19,113 full-time undergraduate students and 2,739 postgraduate students (preliminary numbers for 2007-08). 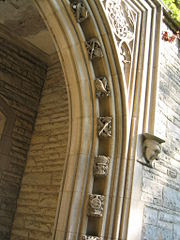 McMaster, or 'Mac', comprises six faculties: Science, Health Sciences, Engineering, Humanities, Social Sciences, and Business. The campus is located on 300 acres (1.2 km²) of land in the residential neighbourhood of Westdale adjacent to Hamilton's Royal Botanical Gardens. McMaster ranks as the 87th university worldwide and the 4th in Canada (2nd in the Province of Ontario) in the 2007 Academic Ranking of World Universities and is placed 100th university worldwide in the 2007 Times Higher Education Supplement rankings.It received an 'A-' grade in the Globe and Mail University Report Card for overall quality of education. 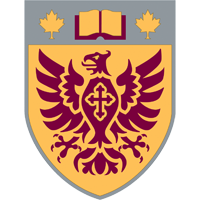 McMaster University of Hamilton, Ontario was founded in 1887 through a merger of Toronto Baptist College and Woodstock College (a Baptist preparatory school). Senator William McMaster, the first president of the Canadian Bank of Commerce, founded the university bearing his name in 1887. It was sponsored by the Baptist Convention of Ontario and Quebec as a sectarian undergraduate institution for its clergy and adherents. It began operating three years later, and graduated its first students in 1894. 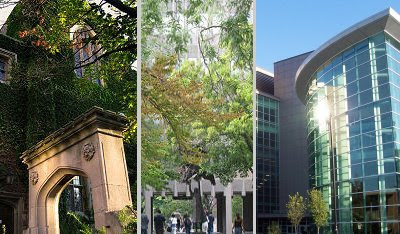 The university was originally located in Toronto and nearly became federated with the University of Toronto as Trinity College and Victoria College were (Victoria moved from Cobourg in the process). The first degrees were awarded in 1894.Local boosters in Hamilton offered large donations of money and land to McMaster to relocate rather than federate, and the move was accomplished in 1930. Originally situated in Toronto, the university was relocated in Hamilton in 1930. University Hall, one of the original campus buildings, houses a bust of Senator McMaster. McMaster Hall, the original Toronto building, located at the northern part of the University of Toronto St. George campus on Bloor Street West, now houses the Royal Conservatory of Music. During and immediately after the Second World War, McMaster experienced an explosion of growth in scientific research and student enrollment under H.G. Thode. This placed a strain on the finances of what was still a denominational Baptist institution. Consequently, in 1957, the McMaster Divinity College was incorporated to continue the university's religious traditions, while the university itself became a secular public institution. 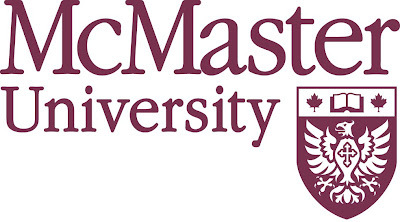 McMaster University became a private non-denominational institution in 1957. McMaster has been particularly renowned for its academic strengths, most notably in the fields of health sciences and engineering. The university has been named Canada's most innovative medical-doctoral university eight times in the past 11 years by Maclean's in its annual ranking of Canadian universities. McMaster Nuclear Reactor. 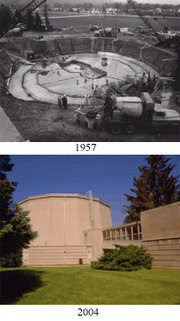 Above: construction began in 1957, completed in 1959. McMaster earned the designation of research university of the Year in 2004 based on its ability to attract and capitalize on its research income Its research activities exceed those of universities twice its size and no Canadian university receives a higher proportion of research funding relative to its operating budget than McMaster. 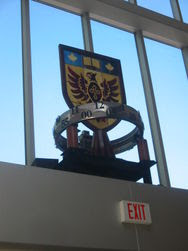 In 2006, McMaster was ranked first by research intensity of $308,300 CAD per full time faculty. McMaster launched Canada's first school of computational engineering and science in 2005 dedicated in developing expertise in the third wave of scientific research involving stimulation, modeling and optimization. The new school brings together 50 faculty from engineering, science, business and health science to collaboratively conduct research and advance education. The university's health sciences reputation started with the foundation of its medical school -- with non-traditional small-group problem-based learning tutorials since adopted by other programs -- in the 1960s. However, it quickly grew with programs in occupational therapy, physical therapy, midwifery, and other allied fields. A portion of Albert Einstein's brain is preserved and held for medical research at the McMaster brain bank. Researchers there have identified differences in his brain that may relate to his genius for spatial and mathematical thinking. McMaster has had a nuclear reactor (MNR) since 1959 for nuclear science and engineering research. The strength of nuclear science at McMaster under the presidency of Dr.H.G. Thode, was augmented in 1968 by the construction of a 10MV Model FN Tandem particle accelerator. Along with this was added the 3MV Model KN single-ended accelerator in the same year. Being primarily, in the early days, a nuclear structure laboratory, the academic direction of the laboratory fell to the Physics Department. During the next 28 years, the nuclear research effort was tremendous with hundreds of graduate students trained and many publications generated. McMaster is the only medical doctoral university in Canada to offer Nuclear Engineering at undergraduate and postgraduate level.